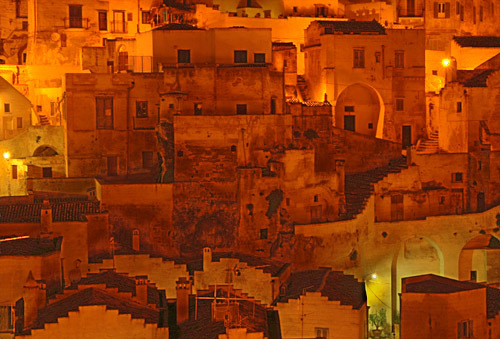 The Sassi are trogloditic dwellings in Matera which is in Puglia, Italy. They are now a tourist attraction. beautifully floodlit at night.